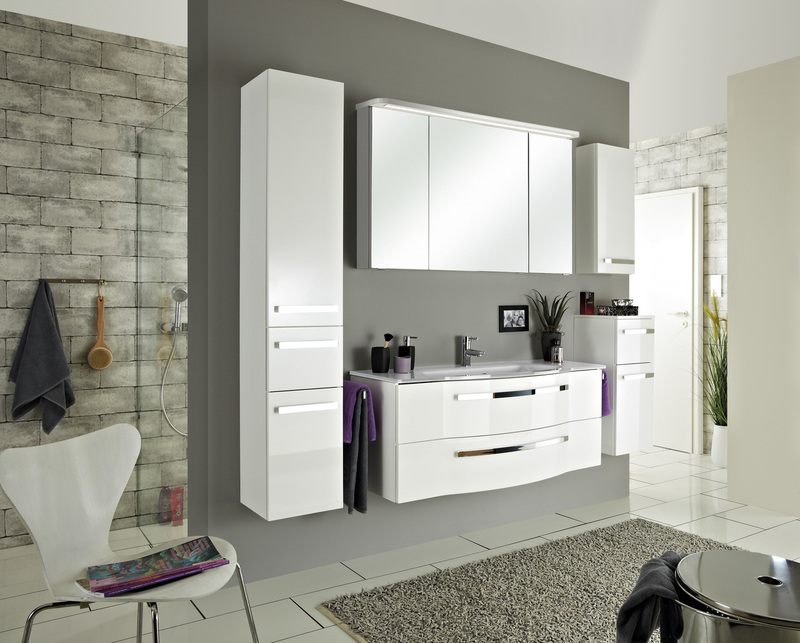 Elegant and class are by far the most prominent attributes of this collection. 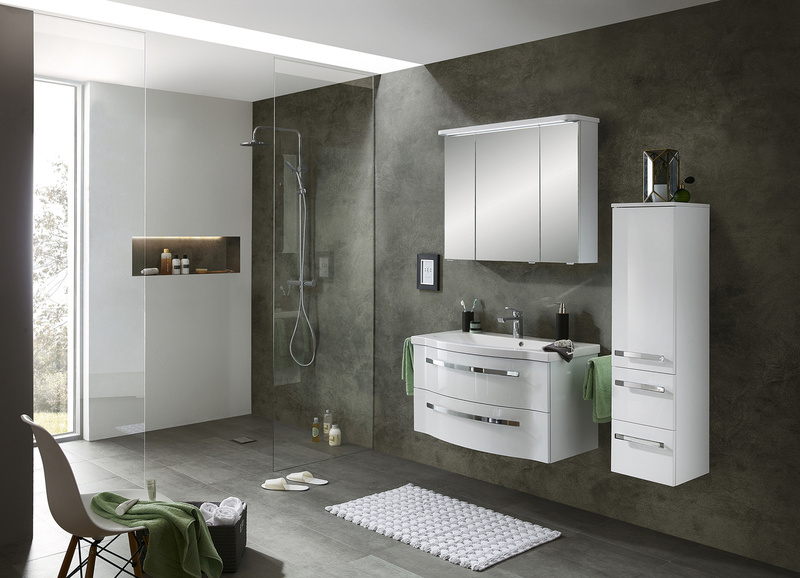 Fokus 4005 offers an elegant, low-maintenance washbasin made of white lacquered clear glass. 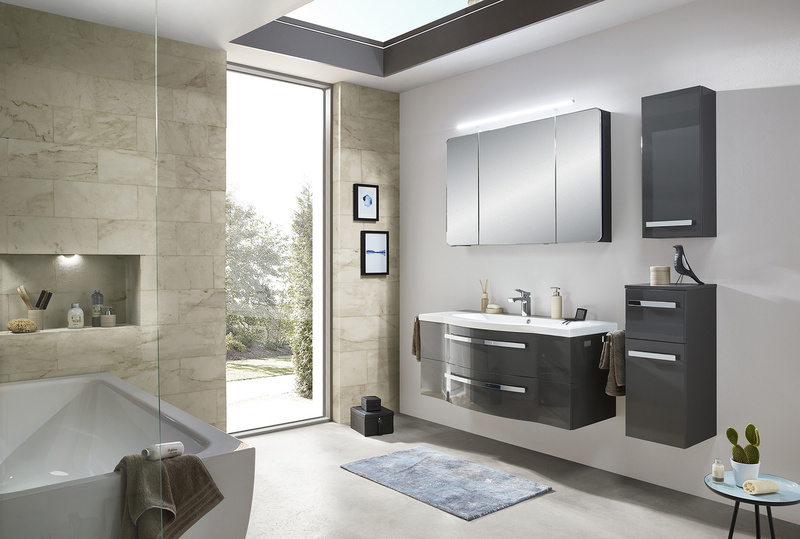 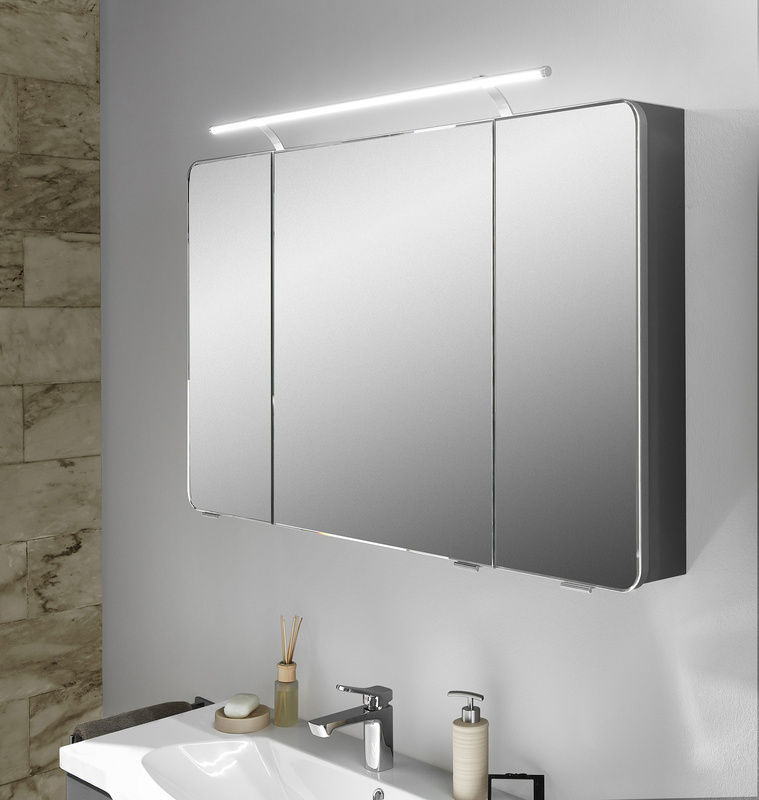 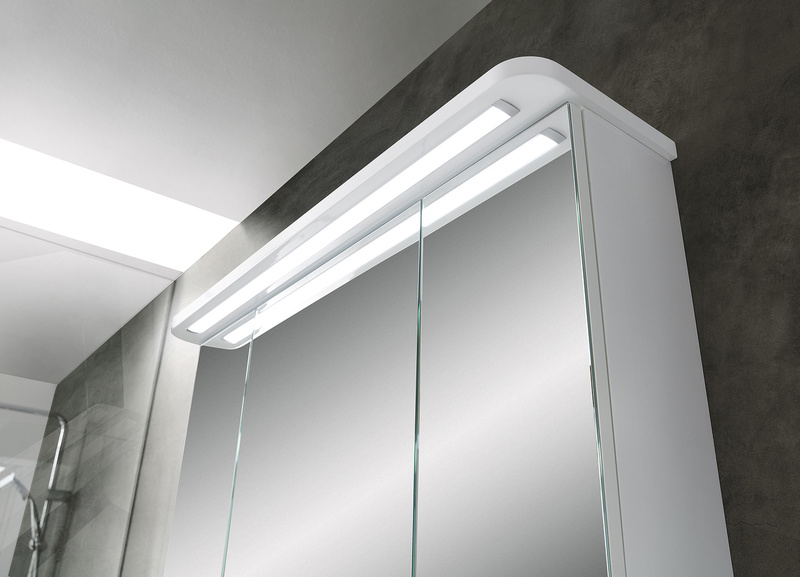 The stone grey or white curved fronts with matching chrome handles are complemented perfectly by the similarly designed mirror cabinets with LED lighting. 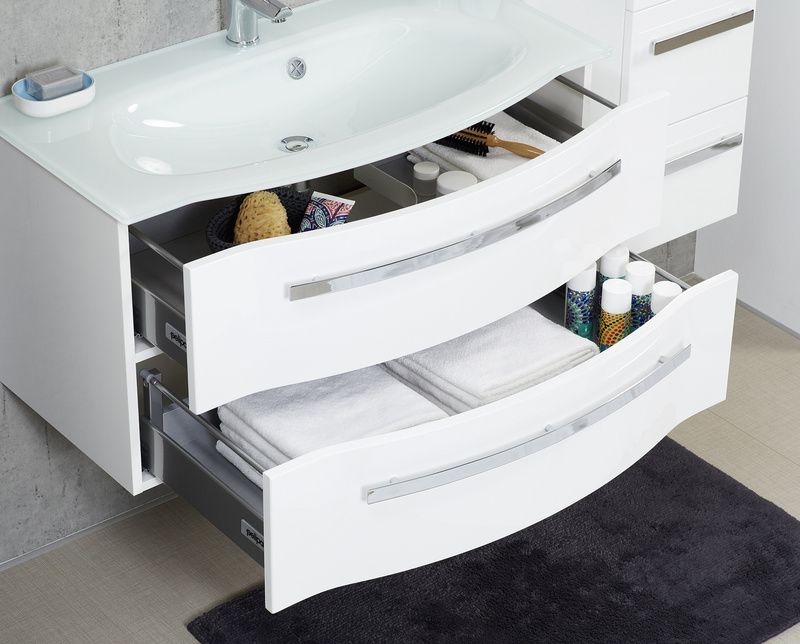 The large drawers in the vanity unit provide direct access to storage space, thus filling modern-day requirements with aplomb. 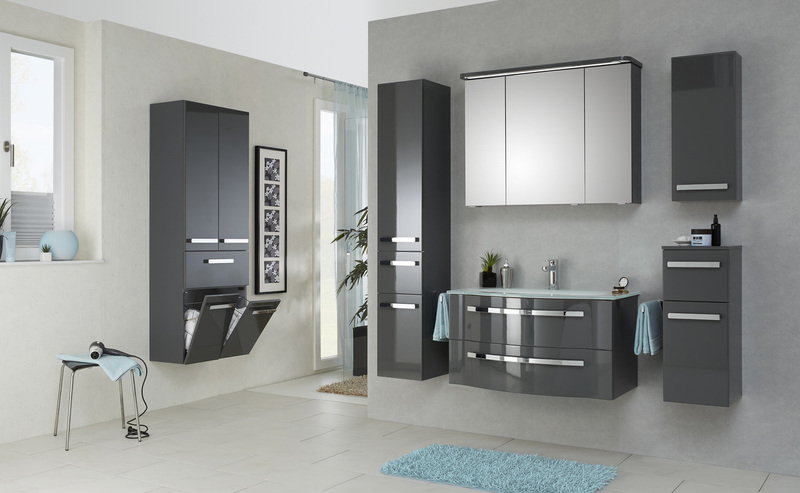 If that is still not enough space, there is a selection of optional matching additional units to help you achieve your ideal interior design. 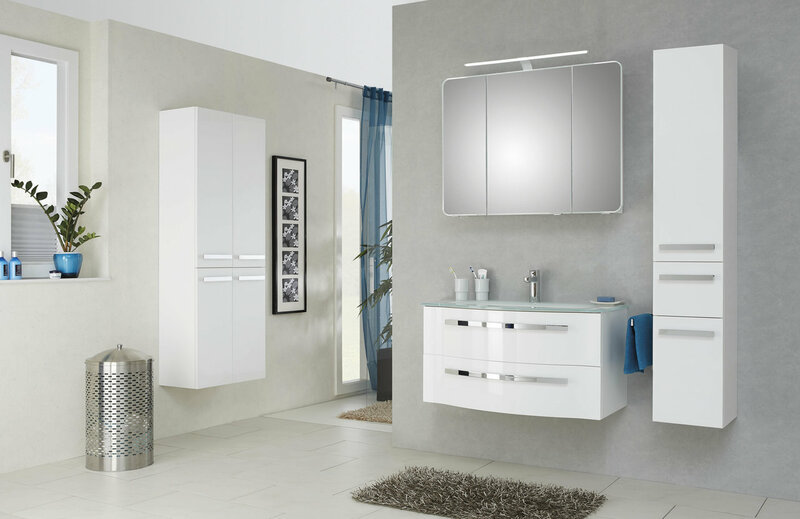 Glossy lacquered front sides are modern and valuable.